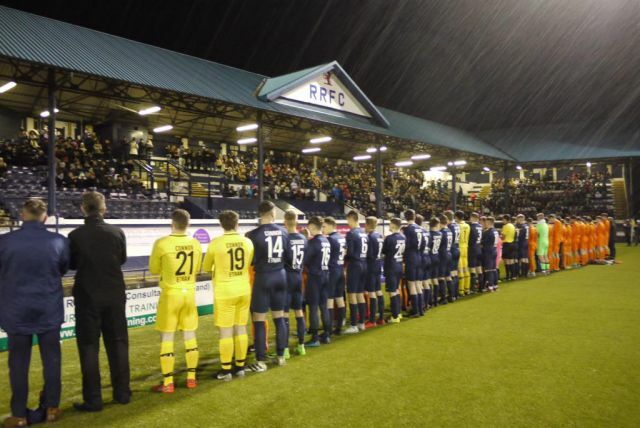 Stark’s Park played host to a memorial match for local teenagers Ethan King and Connor Aird last Tuesday, 12th March between Glenrothes Athletic and Kirkcaldy Eagles. Over 1,000 friends, relatives, Rovers supporters and members of the public turned up in torrential rain to pay tribute to the boys who passed away after a road accident in November last year. As one of the organisers I was overwhelmed by the crowd that turned up. 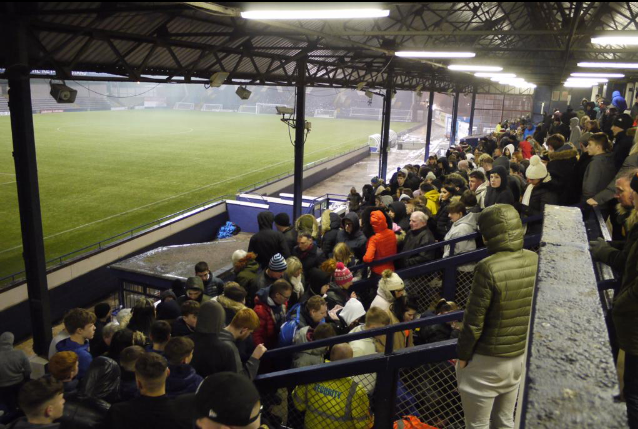 Hearing numbers well over what we thought we’d get – well over a thousand – especially in the pouring rain was a great tribute to Connor and Ethan, and a great lift to all the players, coaches and officials. To play in the game was a really special moment for us all, but nothing comes close to our great friend Danny (who was involved in the crash) who scored Eagles’ first goal. Another organiser said that he was really proud to be part of a team which has accomplished so much and to play in a match that had so much meaning to it. 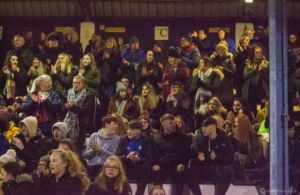 When talking to the families of Ethan and Connor they all said that the crowd that turned up was unbelievable and that it was comforting to see that their boys meant so much to so many people. 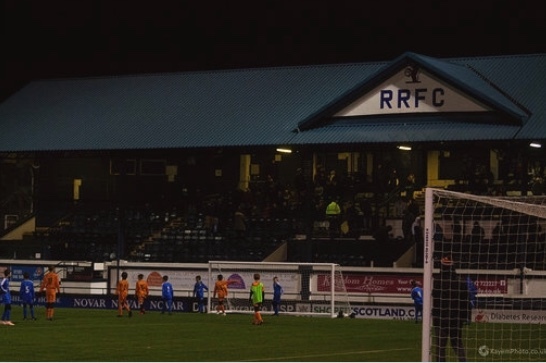 It was a night they would never forget and that it was also nice to see Danny playing and scoring. Everyone involved, from friends and organisers to family members can’t thank Raith Rovers FC enough for helping with hosting the event and all the Rovers fans that turned up. It meant so much to us all. 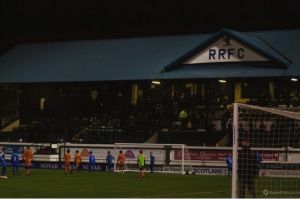 Raith Rovers Chairman Bill Clark added “when we were approached by Marco about hosting the match for Connor and Ethan at Stark’s Park we were happy to help in any way we could. We are glad that such a large number people showed up to pay tribute to the boys, creating an occasion that will be remembered by their family and friends.